Can transcripts really help a video fare better? Opinions are clearly divided on this one. While some feel transcripts are unnecessary there are others like John Lewis who’d fiercely argue otherwise. Working with a video production company he found that adding transcripts to client’s videos made them look and rank better. “We offer video seo services also and find transcripts an easy way to gain traction in the search engine landscape” he smiles. According to a recent research an average video consists of around 1300 words. Most of them can be important keywords or search terms that people use. A missing transcript could mean missed visitors as well. Apart from the intimidating task of typing, what puts most people of is that text can be distracting. After aiming for that perfect shot for over an hour you don’t want a caption diverting the attention of the viewer. That is why transcripts are a better option. Like a helpful crew that slogs behind the scenes a transcript can help increase the traffic and understandability of your video without hogging much space. You sit down to blog about your video and help promote it on social networking sites, and not a word comes to mind. A transcript is an easy way to create blog posts and share it on other spaces such as Pinterest. Downloading a video can be a little intimidating, especially if you don’t have the time or bandwidth for it. A video transcript is easier to view and help people make a quick mental note of your video. We’ve all gone through this frustration sometime or the other. It could be horrific audio quality, a headphone that doesn’t work or an accent we cannot get a hang of. Opting for a transcript pretty much has you covered. Call up a video transcription services provider are take a little time off to type yourself, but don’t forget a neat little video transcript the next time you upload your video. What do you do when your video recording hits a rough spot? When suddenly in the midst of a conference or interview, you are staring at a blank screen or can just hear unintelligible static? Most of us would be flummoxed. But when you are recording with Skype it is usually simple and easy to fix up the problem areas as it is one of the most uncomplicated software’s around. All of us have been taught to restart our computers when something is amiss. And almost all of us never do! It seems too archaic a thing to do. But when you are facing trouble with remote recording rebooting your pc can more often than not solve the problem. Reinstalling Skype and the recording tool you use is another simple way to weather recording storms. It acts as a magic fix and doesn’t take too long either. Instead of fretting and picking up the call to blast customer care take a minute to reinstall and most of the times it works out just fine. If you are recording video calls over Supertintin, install the free Supertintin-setup.exe and scan your system to spot errors. Running regular registry scans can help detect and avoid recording glitches before they happen. In a flurry of excitement don’t start recording right away. Most people don’t even check if their Skype status is online. After opening Skype it is advisable to wait for a minute or two before opening your recording software. It will give your system time to load your settings and also save your comp from hanging. Take a sip of coffee before starting to record as well. The few seconds you invest prior to recording can save you hours of time wasted on making calls to customer care! Downloading, uploading, running programs and chatting with your friend on Facebook is certainly not going to help you record on even keel. The stops and stutters are usually to do with doing too many things at once. Stop all activity that demands hard disk space and bandwidth while recording. Wonder what helped the small business next door? They’ve been there for ages. The small and cozy restaurant and the audio recording studio, down the lane. But there seems to be an unmistakable buzz around them now! Chances are they’ve jumped onto the video bandwagon. Acres of print have been dedicated to how videos can put small businesses in the radar and increase footfall. We explore a few tactics to help make videos that can garner attention and increase those calls to your number! A lot of videos concentrate more on trying to prove that they’re the best in the field and forget that viewers may not know what they do. Avoid store bought employees. The tackiest thing to do is to put up a picture or video clip of people who don’t work for you. It can kill interest and authenticity. To look real and warm add a few shots of your company and maybe sound-bites from your chirpy intern. Being real is the surest way of gaining trust and standing out. A YouTube channel for your company can work wonders! It is easy to create and all your videos are in one place. It can come across as more professional, organized and help people to follow your updates easily. 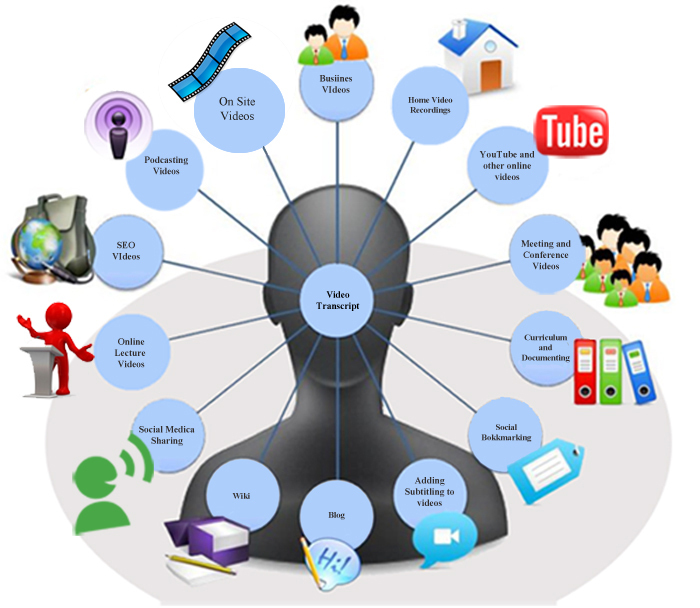 Prominent links to your webpage and sharing your videos on every social media platform available can also help. Nobody likes to go through a testimonial that goes on and on. Video testimonials are effective but looooong testimonials can make people wonder whether it is for real. Have short testimonials of your clients. Shooting it at different locations can make it more realistic and interesting. Get online video transcription and caption for your videos. It has more staying power than voice overs or audio clips. To retain attention and make people stay a little longer, caption your videos. Using cute animated characters is also a nice way to draw attention. Just make sure you add attractive pop on captions to make your video professional, well packaged and search engine friendly. How to create sizzling videos. online video transcription For the video below..
Sizzle reels are hot on the circuit. Documentary makers, business owners and online video marketers find sizzle reels the easiest way to plug their ware. But, most of them seem to have lost the plot. It is usually a collage of the best shots and moments in a video. But a demo reel can be a lot more than that. And it isn’t tough to figure out the factors that can grab attention and make it a cool promotional tool. Compromising on quality and convincing anybody who cares to listen that a video with great content is sure to top popularity charts, is a recipe for disaster. To stop people from quitting or straining to understand what’s in your video, focusing on visual and audio quality is important. As it less than ten minutes you have to create an impact investing in the best possible equipments is essential. Grab a high end camcorder, use eye catching graphics and ensure your audio is high quality. Promo videos give a lot of creative space. You can pick from a whole range of media. But too much of a good thing can only spoil the whole video and make it look like a desperate attempt. As a rule of thumb, snappy video clips and easy-on-the-eye textual effects should do. If you are presenting statistical data, animated transitions or graphical effects, can make the most boring bar graph look interesting. A lot many sizzle videos, forget in all that excitement that a call to action is necessary. If it is a video for a documentary or online video, don’t take the audience out of the moment. It should be a quick and attractive snapshot of what’s in store. For promotional videos for businesses use a big and prominently positioned button that says “click to know more” or “download now”. The more direct and persuasive a call to action is, the more the number of people who are going to take the next step. You’ve heard people telling that text is boring and distracting. But when you don’t have all the time in the world to explain, short, snappy captions or online video transcription can help. Agreed, too much of text can be a bit of a bore, but no text at all means you need to have a killer audio and someone with a voice like Justin Beiber to keep people hooked.